Yes, there comes a time in each writer's life where they must do the inevitable: kill some people. Now, before you call the cops or have me committed, I don't mean "real" people. I'm talking about the characters writers work so hard to develop, bring to life, and then very quickly end their short fictional lives (It's like ripping off a bandaid). But, just so you all know, I am not a heartless writer, thriving over the complete control of fictitious lives. 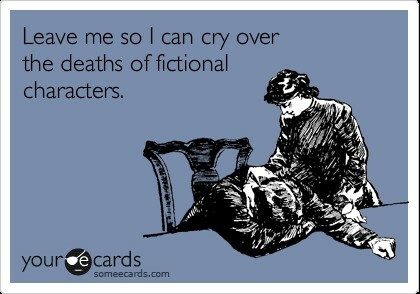 On the contrary, I know I will cry when I must write future character death scenes (Yep, there is more than one). I don't think readers quite understand that it hurts the author just as much as the reader. Of course, I would love to have a perfect world where everyone lives happily ever after. Unfortunately, life is not like that and I strive to make my writing as true to life as possible. I want the reader to hurt with my characters, laugh, cry, share all their emotions. I would be lying if I didn't say this was every author's wish. So, as I continue to write and finish the sequel to Forget-Me-Not, I must constantly keep in mind the effect that this book will have. When I was writing my first novel, my audience was pretty easy to please: me. And even though Forget-Me-Not is not out in the world quite yet (the time is coming soon! ), I am already considering how my future readers will not only react to my debut novel, but to the entire series in general. I have broad ideas of how this saga will end, but I'm not completely 100% sure yet. However, I will not lie to you. The following books after Forget-Me-Not are sad, tragic even. I would not be doing my characters or the story line any justice if I refused to allow real life to occur and real life includes real death. I know first hand the consequences and effects of death and trust me, it's not pretty. But I want to dig deep into that with my second and third books. I want readers, who maybe know exactly what my characters are going through or don't even have the slightest idea (you are truly blessed if you don't), to have to deal with the harsh reality, even in fiction, of the tragedies life can throw your way. However, I also want my readers to understand the beauty of life: hope and love. It's a hard balance, but one I am trying to master. So, as I continue to write and expand my knowledge of both my characters (whom I love, trust me. It literally breaks my heart when I think of the tragedy they will have to encounter) and fiction in general, I am left with the satisfying feeling that everything is happening as it should. I came across a beautiful quote on Pinterest (I actually have a board dedicated to my series. Please follow me! I'll leave the link here: http://pinterest.com/lafleur1218/the-forget-me-not-series/). I will leave you with this quote. It is something I strive for as a writer and hopefully, I will succeed. 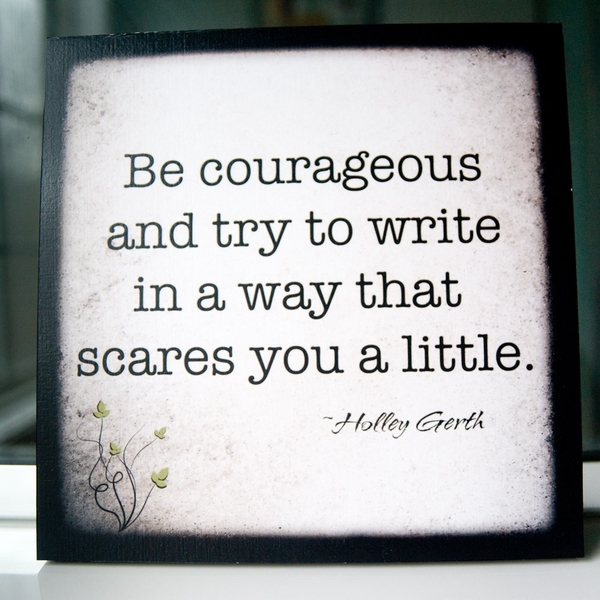 This would be my top advice to any aspiring writers: Don't be afraid of writing the truth, even if it breaks your heart in the process.